Most backpackers to Patagonia these days are going to take on the W Trek in Chile’s Torres del Paine National Park and visit Mount Fitz Roy and the Perito Moreno Glacier in Argentina’s Los Glaciares. These are certainly stunning locations, but with all that interest comes oversaturation. These two parks now attract hundreds of thousands of annual visitors who crowd the trails and campsites, especially from December to March, and make these wilderness destinations feel more like packed amusement parks than secluded escapes into nature. 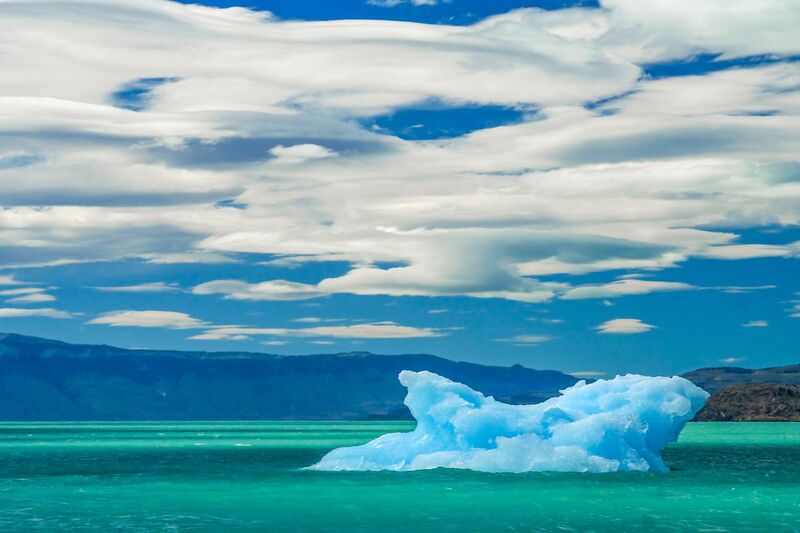 Patagonia, a vast region covering over 400,000 square miles in southern Chile and Argentina, has far more to offer travelers who want to see the sights without the hordes. With forests, glaciers, mountainous valleys, fjords, rivers, lakes, and pampas (plains), Patagonia is full of pristine landscapes to explore on foot. So if you’re looking for a hike or trek that showcases the best of Patagonia away from the crowds of Torres del Paine and Los Glaciares, these four awesome treks fit the bill. If you’re a fan of the “base of the Torres” hike in Torres del Paine, this hike to Cerro Castillo will be right up your alley. This national park’s eponymous mountain is called Castillo, ‘castle’ in Spanish, because of its battlement-like spires, which are similar to those at Torres del Paine. It also has its own glacier and aquamarine glacial lake. 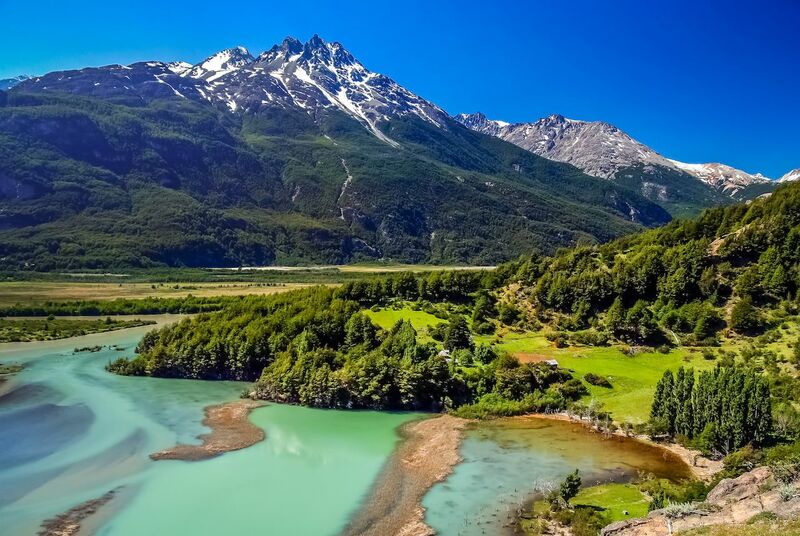 Located about 80 kilometers from the provincial capital of Coyhaique in Aysén, Chile, Cerro Castillo has the jagged peaks, glaciers, forests, rivers, and rugged nature you’ll find in Patagonia’s more famous spots, but without the crowds. The day hike to the viewpoint of the mountain and Laguna Cerro Castillo starts from the small town of Villa Cerro Castillo and takes about eight hours there and back. Hikers looking for more of a challenge can opt for a four-day trek that starts from Horquetas Grandes on the other side of the park and covers roughly 30 miles of rugged terrain that is home to lenga forests, mountains, and glaciers. Wildlife you might spot include huemules, the tiny and elusive deer species that appears on the Chilean coat of arms, and guanacos, llamas’ wild cousins. You might also spot a condor flying overhead. Since the interior of the park is relatively undeveloped, the only accommodations on the trek are rudimentary campsites. Unless you have extensive backcountry experience, you should go with a guide. However, you can do the day hike on your own. If you don’t have multiple days to spend here, it’s still a great way to see the best that the region has to offer. Cochamo Valley is known as the Yosemite of Chile. Rock climbers scale its dome granite mountains, which frame a valley filled with old-growth forests, turquoise rivers, cascading waterfalls, and lush meadows. You enter the U-shaped valley on a four-to-six-hour, six-mile hike to the valley center. 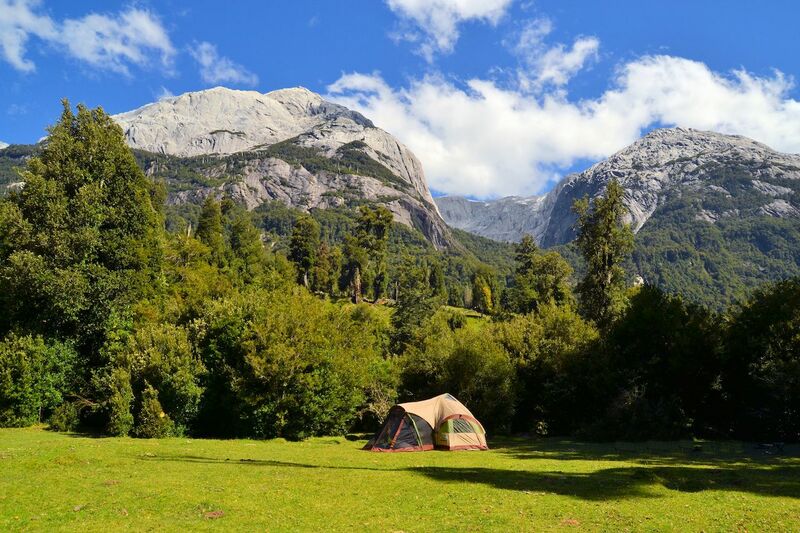 There you have the option to either stay in a refugio, a kind of rustic lodge, at Refugio Cochamo, or camp at La Junta Campsite. Both sites have basic amenities like bathrooms and showers, but if you need Internet and electricity, opt for the refugio. From there, day hikes ranging in difficulty from easy to hard take you to different areas of the valley, and most can be done without a guide. The best-known hike, Cerro Arcoiris, is a five-hour endeavor that takes you up through the forest, past 3,000-year-old alerce trees, the oldest and tallest trees on the continent, to a lookout with jaw-dropping views of the entire valley. The valley is also prized by trout fisherman and horseback riders, and its large meadows once made it a regular stop for cattlemen back in the day. Butch Cassidy and the Sundance Kid drove their own herd through here. The best time to visit is during the summer months of November to March, and we recommend bringing all your own equipment and food since the valley has no vehicle access. Most people choose to stay several days – between their hikes in and out of the valley – to go on various day hikes, enjoy the solitude, and look for wildlife. Pumas are around, but spotting them is rare. Condors, Darwin’s frogs, boar, and pudus, the world’s smallest deer, are some of the animals you’re more likely to see. 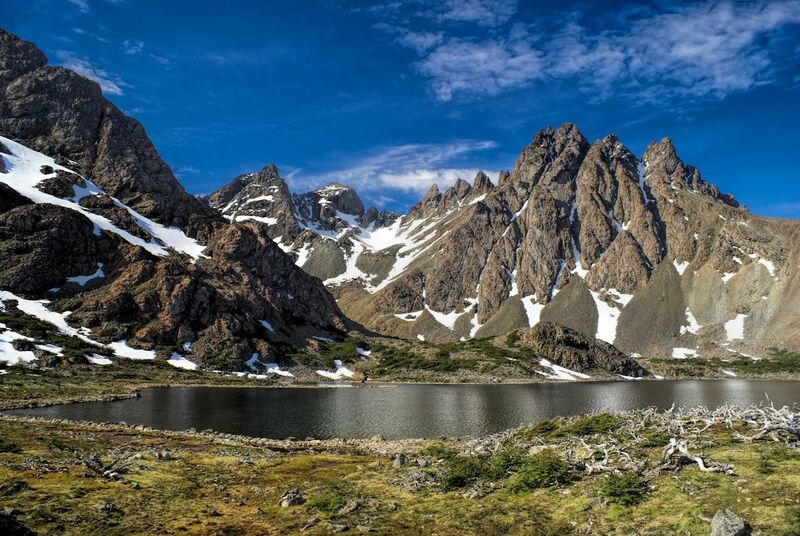 Known as the southernmost trek in the world, this 33-mile journey leads adventurers into the heart of the Dientes Massif on Navarino Island in Tierra del Fuego. This strenuous trek starts in the town of Puerto Williams and winds in a circular pattern into the interior of the island, crossing rocky valleys, virgin forests, rivers, peat bogs, and high mountain passes. Depending on hiking speed, it takes between four to five days to complete, finishing at its origin point. Named after the jagged, tooth-like peaks of the Dientes mountains — Dientes means “teeth” in Spanish — the route is famous for its isolation and ruggedness; aside from trail markers and cairns, there are almost no signs of civilization. This journey is for backpackers who enjoy roughing it, since you must bring everything along with you, from camping equipment to food. You can complete it without a guide, but don’t even consider that unless you’ve got years of experience hiking and camping in the backcountry. High winds, rain, and cold weather can be a major issue, even during the high season months of December through March. If you have the stamina and fortitude for long days of rough hiking in unpredictable weather, the views and unspoiled wilderness are worth it. From the trek’s summit in Virginia Pass, you can see the towns of Puerto Williams in Chile and Ushuaia in Argentina, as well as the Beagle Channel, the fjords, islands, and mountains of Tierra del Fuego, and the legendary Cape Horn. But also be sure to get your head out of the clouds to look to the ground: Navarino Island is famous for its “miniature forests” of mosses, liverworts, and lichens, some of which can’t be found anywhere else on Earth. In the canon of Patagonian treks, this 12-mile, two-to-three-day journey that crosses the border from Chile to Argentina is one of the least known. Starting at the end of the Carretera Austral, the Southern Highway, at the end of Chile’s Aysen Region, you take a boat past the O’Higgins Glacier to the Candelario Mansilla Farm. There you can spend the night and get your passport stamped at their national border post, the most remote one in Chile, before continuing on. You’ll then pass through forests and mountains between Chile and Argentina — unclear which country you are in — until you see a sign welcoming you to Argentina. There you can also catch a view of the famous Mount Fitz Roy, from its less-often-seen backside. Here, you can either take a boat across Lago de Desierto or walk an additional 9 miles around the lake to the road, where you can catch a bus to the town of El Chalten. The hike is relatively easy throughout, with clear markers, so you don’t need a guide. That said, the only accommodation along the way is the guesthouse and campsite at Candelario Mansilla, so if you plan on taking your time with the hike, bring camping equipment as well as food, water, and other wilderness supplies.